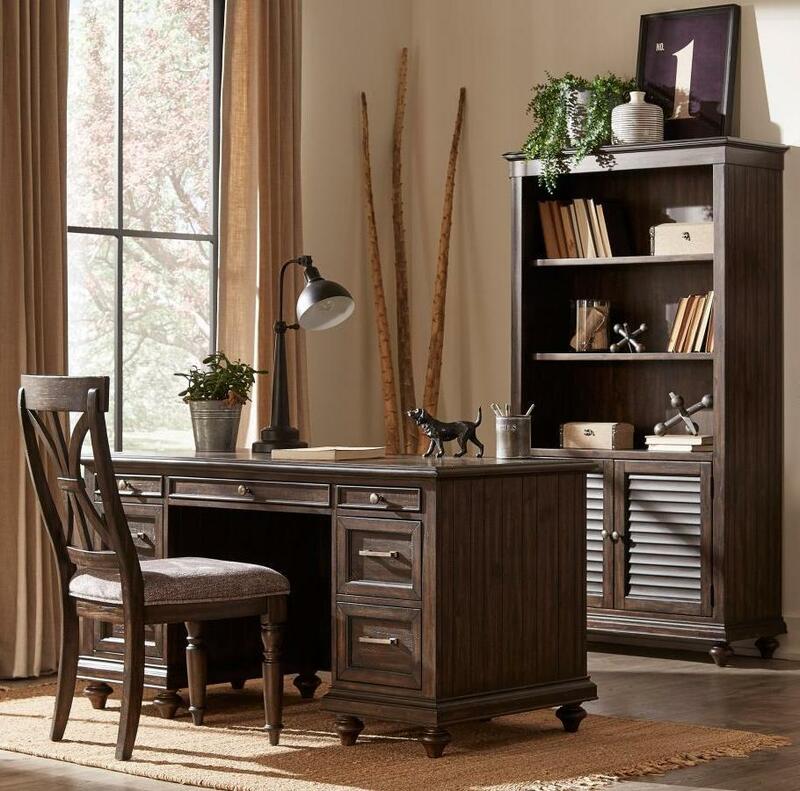 The solid transitional styling of the Cardano Collection, creates an impactful design presence in your home office. Utilizing distinct accent techniques - plank effect, rasping, saw marks - and pairing them with traditional framing and a rich finish - driftwood charcoal over acacia solids and veneers, creates a collection that is worthy of your home office. Pewter finished hardware mounted on the functional drawers and doors, providing subtle contrast to the wood's dark finish. Open shelving allows for the convenient and unobscured access to your media devices. Shown side chair sold in pairs only. FEATURES: Driftwood Charcoal Finish ~ Transitional Style ~ Plank Effect / Rasping / Saw Marks Accents ~ Door & Drawer Storage / Open Shelf Display ~ Pewter Finish Hardware.